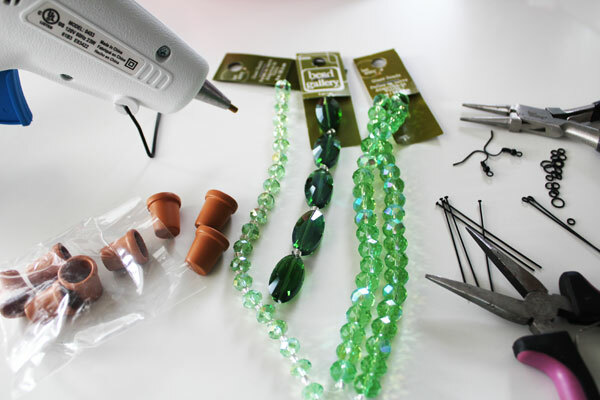 Jewelry can be so simple and easy to make! 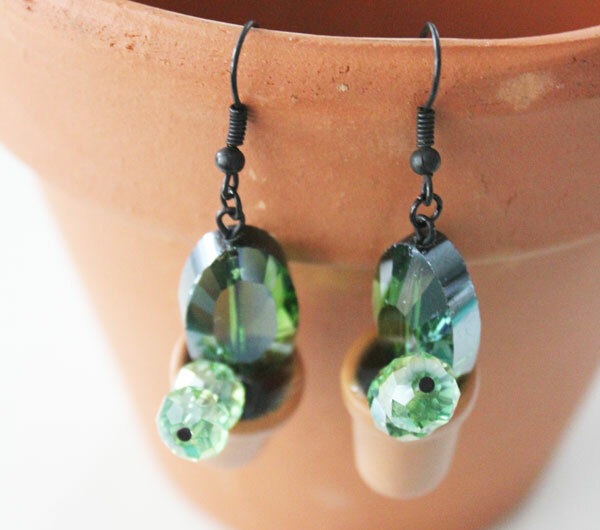 Even cute jewelry like these little Succulent Earrings! 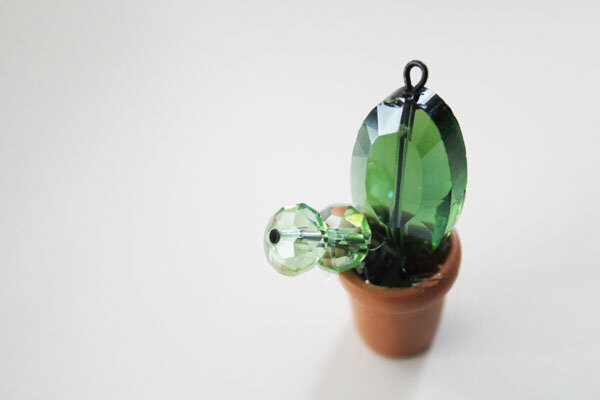 They take very little time to make, and you don’t need to be a master jewelry maker to whip up a pair for yourself or as a gift for a friend who loves succulents! 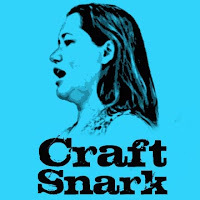 This project was made as part of Craft Lightning Week. 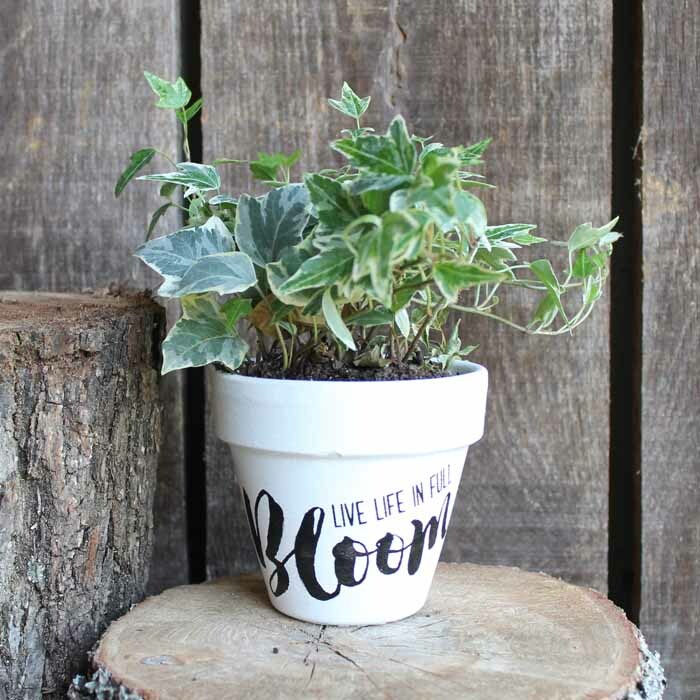 All week long my friends Angie from The Country Chic Cottage and Morena from Morena’s Corner are sharing crafts that can be made in 15 minutes or less – all using clay pots! 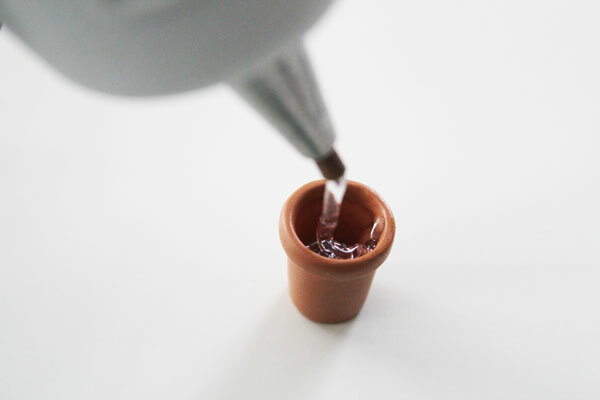 Which is where I got the idea for these succulent earrings – by finding these cute mini clay pots! 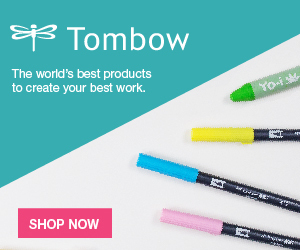 Be sure to scroll all the way down to check out their fast clay pot crafts, as well as those from some of our craftiest friends on the internet who are all joining in this week! I bought my beads at Michael’s, but you can find whatever beads you like that look the most like succulents to you. I thought these looked like fun little cacti and would look perfect sitting in my little clay pot. 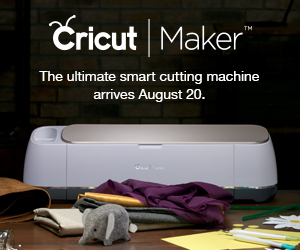 Go ahead and plug in your hot glue gun to get it warmed up. 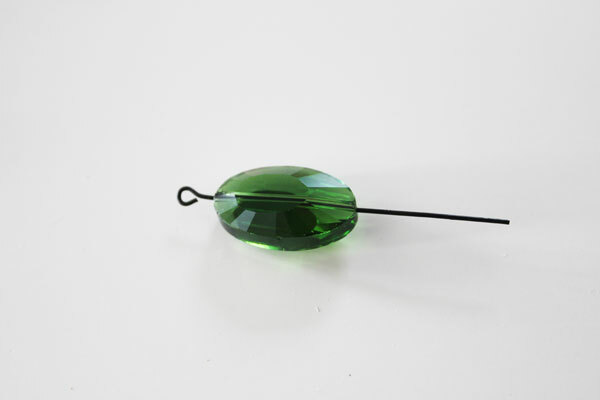 String an eye pin onto your large crystal. Twist the excess wire around the barrel of round-nosed pliers. You can start with a tight spiral, but it will sit more securely in the glue if you stretch out the spiral. 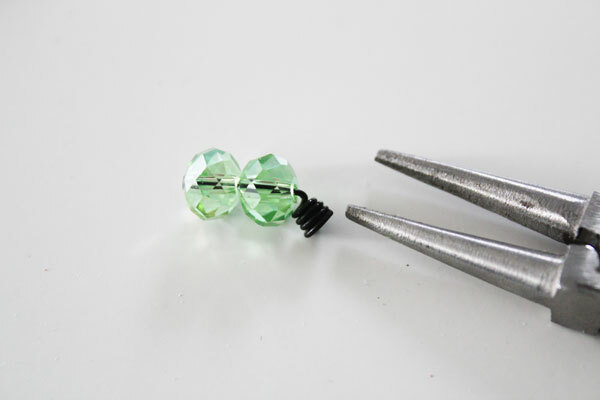 Put two of the smaller crystals onto a headpin. Twist the wire just like you did with the large crystal. Fill the pot with hot glue, up to the bottom of the rim. Before the glue cools, push both the twisted wires into the glue. Position the succulents the way you like before the glue cools. Watch the direction that the eye pin is going. You’ll want it facing the front of the earring. 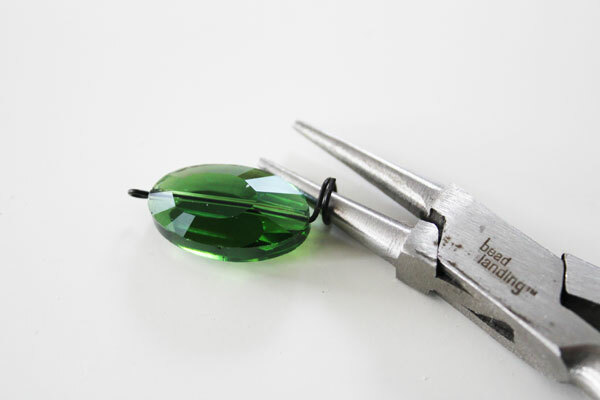 Use the jump rings to attach the earring wire to the top of the eye pin. Repeat making a second earring that is a mirror image of the first. 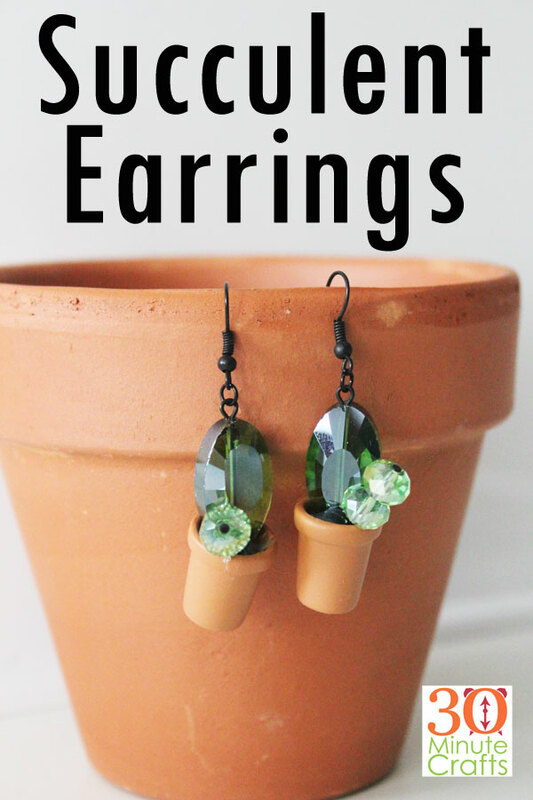 If you loved these succulent earrings, you’ll love all these quick crafts using clay pots! Customize clay pots with your favorite fabrics – Leanne from Organize and Decorate Everything shows you how! 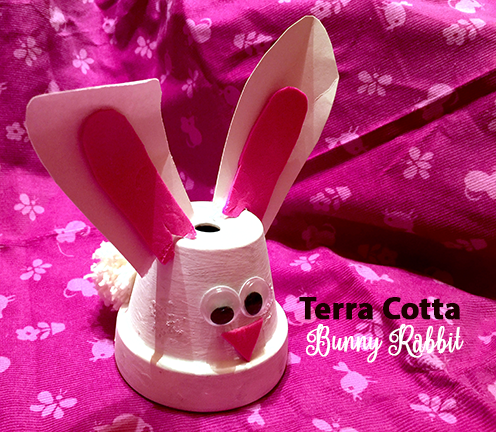 How fun is this little bunny pot that Try it Like it made? 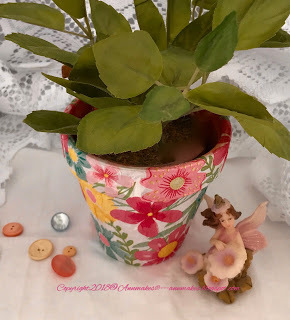 Annmakes shows you how to give a Terra Cotta pot an upgrade with decoupage and napkins. 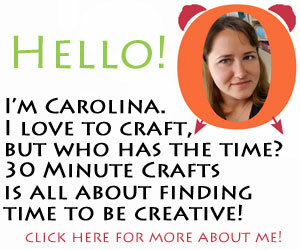 Looking for a gift for a sewing friend? 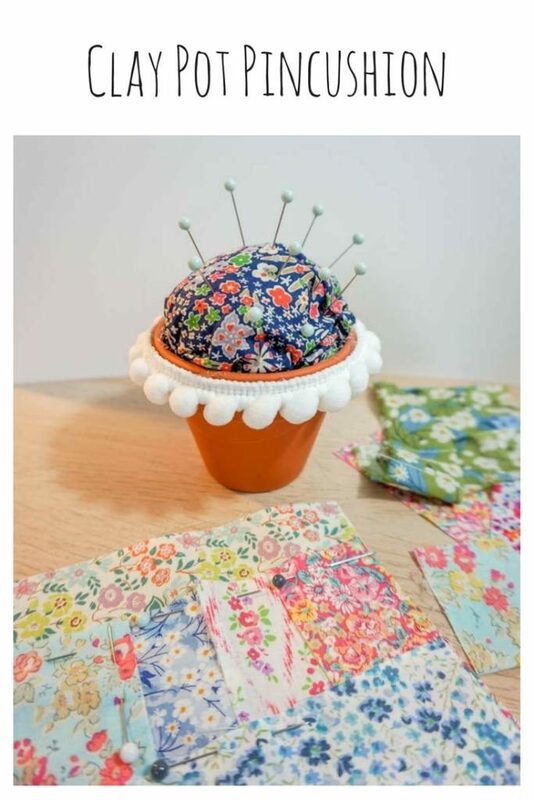 Re-purpose a clay pot into a pincushion like Albion Gould did! 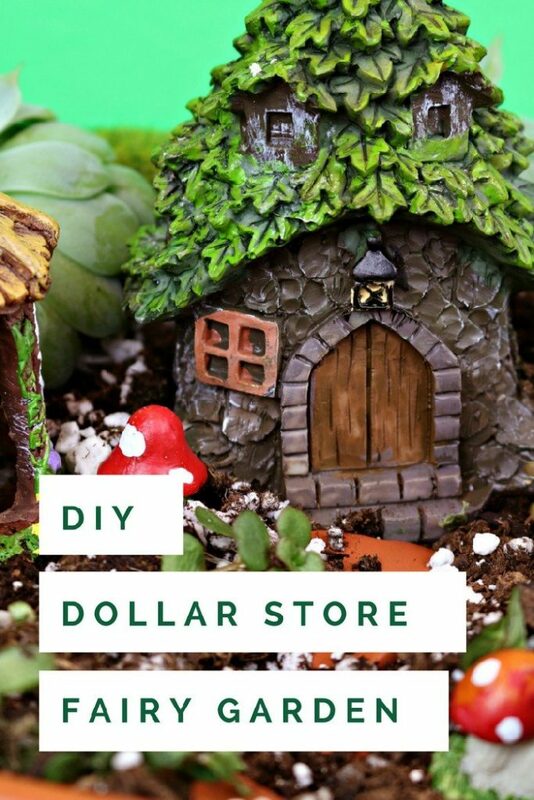 Jessica at Mad in Crafts uses Dollar Store supplies to transform a terra cotta pot into a Fairy Garden. 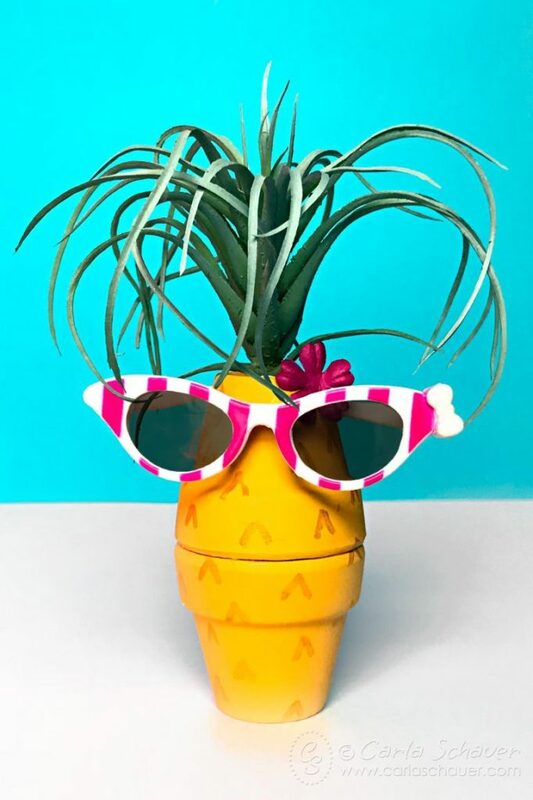 Two pots and an air plant are all it takes for Carla Schauer to create this pineapple craft! 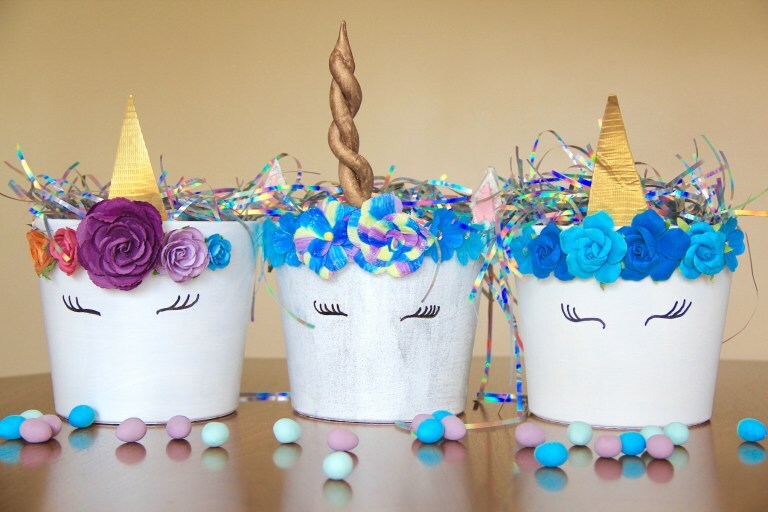 Clay pots become unicorns when they are in the crafty hands of 365 Days of Crafts. 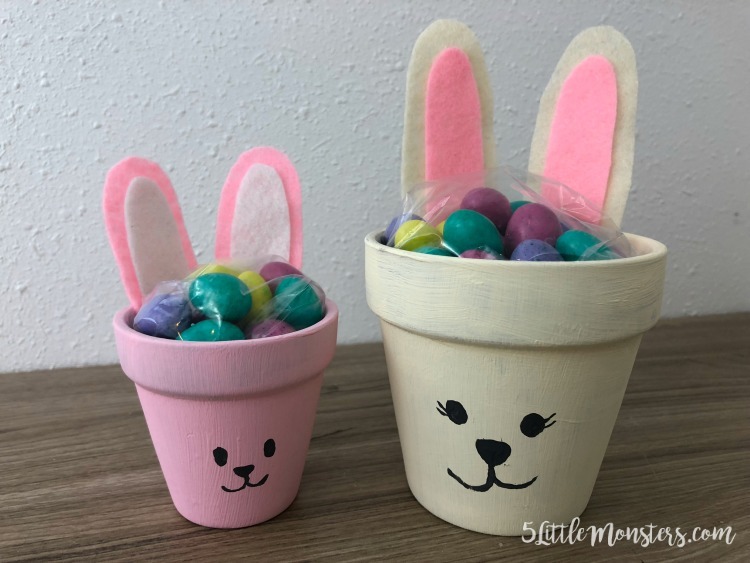 Over at 5 Little Monsters, clay pots will get you Easter ready – how fun are these clay pot bunnies? 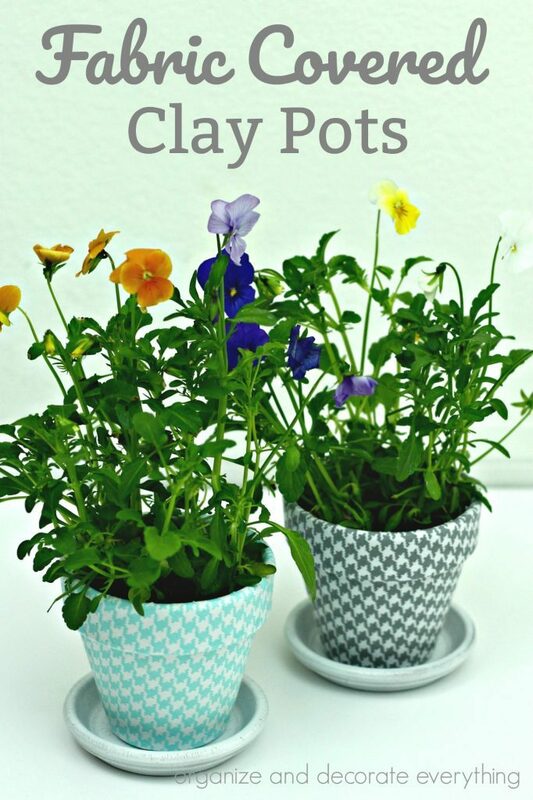 And my Crafty Co-host Angie from The Country Chic Cottage shows you how easy it is to customize a clay pot with paint! 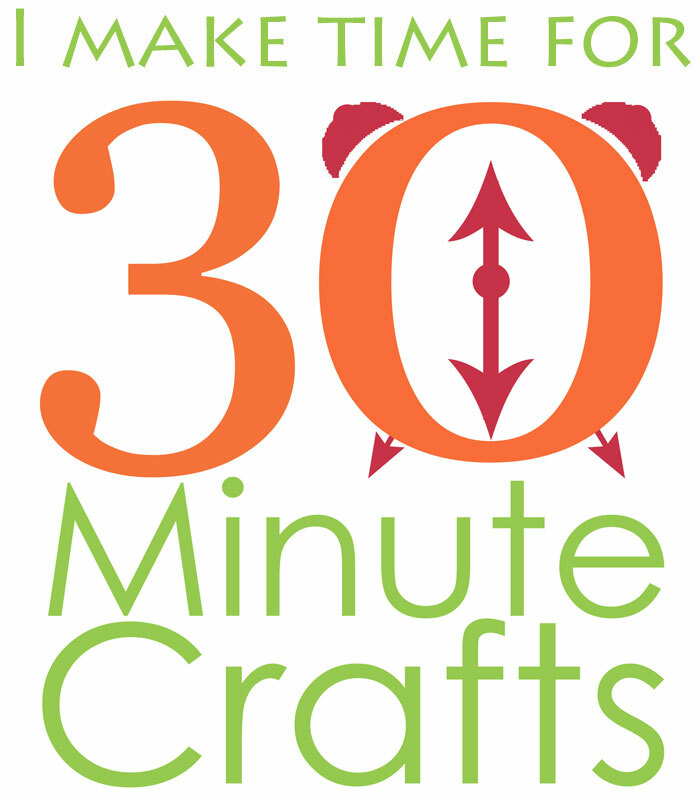 Come back tomorrow for more fast and fun clay pot crafts in 15 minutes or less!